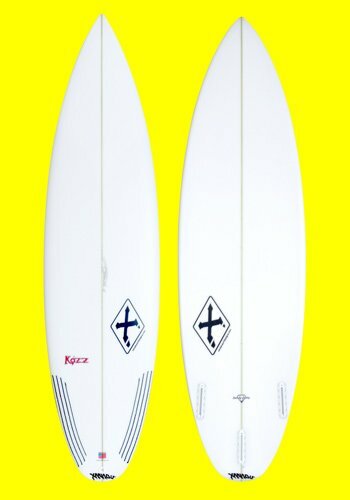 The Kozz, is a very technical mid wave / high performance Xanadu model for 2017. 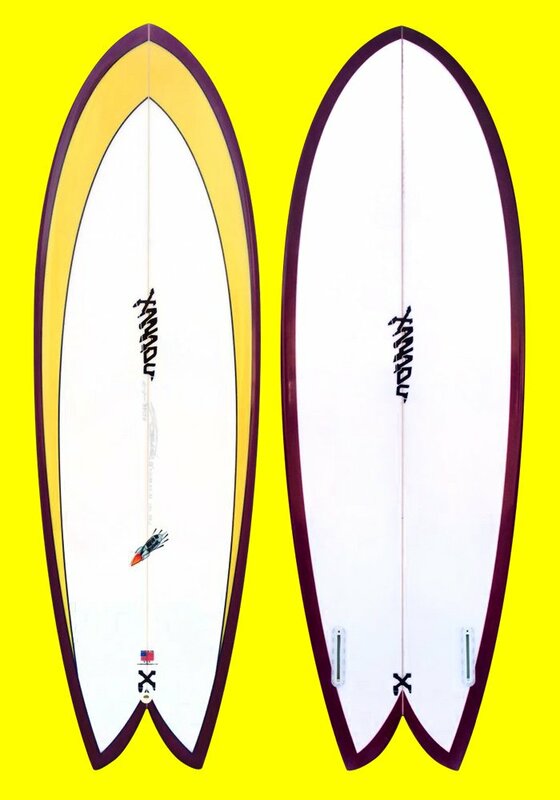 This model has a low entry rocker and flat rocker on the stringer line to help maintain speed in mushy, fat waves and on the flat part of a wave. 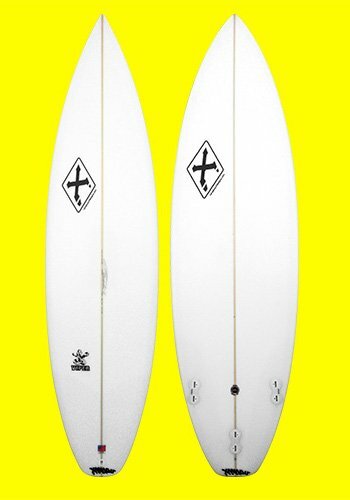 The rails have a good amount of curve to allow sharper turns in the hollower, steeper sections. The middle deck area does not have much dome, the domed area is accentuated in the area 1/3 up from the tail, where most of the rocker curve is. Since there isn't much dome in the middle area of the deck, the rails are fuller in the this area. 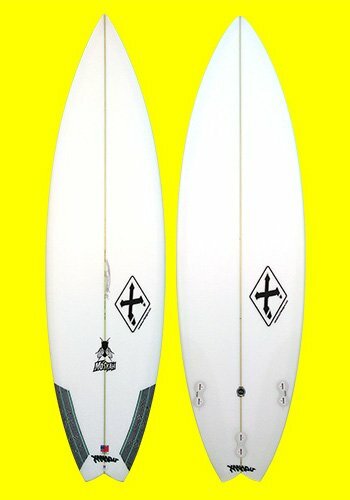 The Kozz has a good amount of volume, suited for surfers that prefer good floatation in the chest area for easier wave catching, and a turbo drive that is created in the middle to nose area of the bottom where the small vee to a deep single concave allows for a burst of speed out the gates. 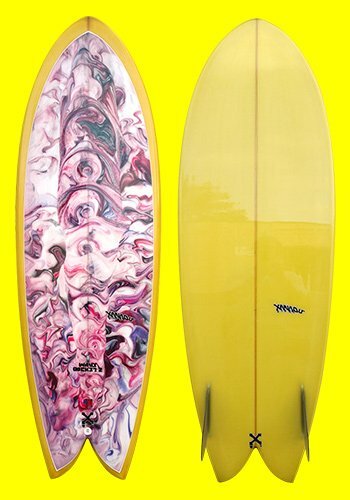 If you are interested in ordering a custom Xanadu, we will help you find the right dimensions to fit your needs. Click here to set up an appointment with Xanadu to discuss.